I have been seeing lots of Zakka style projects on all over blogland and Flickr, it seems a lot of you are sewing a long. Many of the patterns are so quick and easy and offer a great opportunity to personalise add your own spin so you can make them for special recipients. If you are really organised, you can get all your Christmas makes done extra early! I opted for the scrappy Patchwork Pencil Case designed by Shannon Dreval of Petits Details. Mine is a gift for a horsey girl- I just need to add her initial to the fastener at the front to finish it off. Shannon has some lovely embroidery and French inspired stitching on her website, well worth a look. The pattern suggests using tightly woven lightweight linen and I used Essex linen/cotton blend in 'Sand' by Robert Kaufman. I always have a little stash of this as it is a great basic to work with and I get mine from Mandy at Simply Solids. It doesn't fray as easily as 100% linen and is perfect for stamping and adding embroidery thread/floss. I used the pattern measurements but added extra scraps to the linen and lining sections to squeeze more fabrics in. The fabrics are mainly Heather Ross prints ( thankyou Amber and Krista for sharing scraps) with a few extra text and fruit stash additions to keep those horses fed. I regularly use stamping in my makes so I thought I would share a little tip. Take the pad to the stamp and tap the ink onto the stamp. this is a lot more effective than pressing the stamp onto the pad. Small ink pads are easier to work with than large ones. I use Versacraft. It sets easily with an iron and has staying power. I love this alphabet rolling stamp, it has small letters and is quick to use. I got the idea when Penny used one at Sew-Ichigo. You can find them on Etsy under supplies with the search 'alphabet rolling stamp'. By taking the pad to the stamp there is less mess and excess ink, I use a bit of wet kitchen paper roll to catch any unwanted bits. And stamping does work rather well with a little stitching. Lecien were kind enough to send all the blog hop project makers a selection of floss and a colour card of their Cosmo threads, and Katy was even kinder and shared some of her Cosmo with me to give me even more colours! Cosmo threads seem to be easily available in USA but for those of us outside, I found a good selection at Pink Castle Fabrics on Etsy and a great choice at The Workroom. They are the silkiest and prettiest threads. I have done a fair amount of cross stitch in my time and tended to use DMC but these outclass those, more sheen I think, all I know is I totally fell in love with them! I used a chenille needle which has a blunt narrow end for my stitching. This is the back, I enjoyed the fussy cutting here! There is a good technique for joining the lining to the outer but take your time and read the instructions carefully at this point otherwise everything will be the wrong way round! It is a quick make and, like many of the projects, a versatile pattern. And of course, my piecing was done as always with Aurifil 50wt. 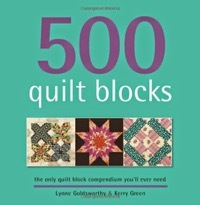 I cannot do anything other than wholly and completely recommend this thread, I use it for all my piecing and a lot of my quilting and nothing beats it. Want some? Five variety packs await your comments. I will give 3 to UK residents, 2 for outside the UK. To enter leave a comment and tell me about a food from your country. I'll start you off, when we visit my husband's parents in Preston, Lancashire, we always pick up a couple of Butter Pies. These are a local delicacy restricted to the Preston area only. Meat free and a reminder of the strong Catholic links to Lancashire I can't tell you how delicious they are. They taste strongly savoury and definitely not of butter. I am not a fan of pastry or butter but these surpass both those things! So share some of your culinary heritage and don't forget to incude the country that you are in. Giveaway closes midnight 6th May GMT, I need to be able to contact the winners so add your email address if it is not in your profile. You can add pics of your makes to the Zakka Style Sew a long Flickr group and find the blog hop info here! And for more giving away, visit Lindsey's blog here where you will find all the sew-along info along with new Kaufman linen essex printed fabrics to win! I was lucky enough to get a little stack of Summersville prints in the post from Lu Summers. I knew before they even arrived what I was going to do with them. I have been doing a lot of spools blocks recently. At the Fat Quarterly Retreat I will be teaching a couple of classes focused on making blocks like these and conquering the Y seam. A selection of spools patterns (and more) will be going in the accompanying FQ retreat special issue too so spools have been on the brain, and my brain as I have mentioned before is an obsessive place. I think they might even make their way into a Ringo Pie spool block for Amber. I had seen a pic of Tamkio's on Instagram- http://instagr.am/p/JXabsvvn1o? and it really inspired me. It was one of those ideas where I had to hold myself back and let less be more. I used cross hatch quilting to echo the cross hatch fabric. So easy to do, the walking foot practically does this itself, although it does take ages! I used Aurifil 50wt colour 2310 thread and Vilene 640 fusible fleece, which is the best stuff for making cushions, I have just ordered more from Julia at Gone to Earth. My top tip for using this interfacing is to make sure the fabric you are going to attach it too is very well pressed. I go over all my seams with a damp cloth and a hot iron just to flatten out the lumpy bits before using the damp cloth again to press the fleece to the reverse. The cream solid is Kona Snow, from Mandy at Simply Solids. Lucie's designs take me back to childhood doodles and felt tips. The splodgy print reminds me of experiments with blotting paper and paint brushes and the line drawings are so appealing. I was an arty child and spent a huge amount of time scribbling and designing. Lucie has captured that feeling in these fabrics and the simple fresh colour palette. The brick colour is my favourite. I like to treat the back to a little pattern so these little spools/butterflies/bow ties take the design to the inspiration source. I love binding on a cushion, it provides a great frame and the solids finish it off nicely. And here it is in its new home. Damian often sits here as do our cats and dog so it is going to get a lotta love. Here it sits in the brief period before it gets covered in cat hair etc. Such is our house! And when you get some Summersville of your own, Lu has created a Flickr group so you can share and inspire. Instagram is a fun app if you haven't tried it, free and such a quick and easy way to share pics with a nice little community of new and familiar faces, I am on there as verykerryberry. Now I am going to start my Bloom quilt! We had a busy weekend at the end of a busy few weeks, traveling up country for Damian's youngest sister's long awaited wedding. D and I managed to get a rare photo opportunity together. As most of my photos are of others I havestayed away from faces for these pics but I was fascinated by the bridesmaids shoes, so so high! ( But also very glam). Spot Lula's flat ballet pumps. Lula was ushered away to the hairdressers with all the big girls, she rather liked her ringlets. And the bride looked so beautiful, her 'blue' was her shoes, magical! I cannot do glamour or even smart so I made my dress and went with 'quirky' for my look. I used Cynthia Rowley's Simplicity 2215. I made a skirt from Lotta fabric a few months back so I returned to more Lotta for the dress. Size 10 and a great relaxed fit, I don't have to alter anything and there is room to eat. Vintage buttons and a red vintage folk print inside the pockets. I departed from black tights for the wedding- these shots were taken at home a few weeks ago. I do like this style, I feel another calling, perhaps for the rereat? Washi fabric destash- last fabric destash! The last fabric I have to destash is a long length, 2.8 metres- that is jut over 4 yards in old money, Washi Floral from Rashida Coleman Hale's 'Washi' collection for Timeless Treasures. Sold as a continuous length, £20. Gone sorry! Postage in UK is £2.90 as it is just over 500g, I am happy to post overseas but postage rates will be higher, around £5 for Europe and outside EU countries around £7.50. First come first served, email me if interested. I must be able to contact you so if there is no email in your profile please leave an email in your comment or email to me or I will have to contact the next person interested. Payments will be invoiced through paypal. I hope to get post out Wednesday or Thursday. My email is kerrykit(at)yahoo(dot)co(dot)uk or click the email me button on the right on the blog. And that is the end of the destash! Final destashing before postage prices go up, I am happy to send anywhere but postage costs rise out of the UK (see below for details). 1. Sevenberry Winter marching print. Beautiful quality cotton, pale pink background. 24" length across width of fabric with a chunk (11" x 12") cut of the corner. £2.50 taken! 2. Winter Tree print- can't remember which manufacturer this was from, possibly Michael Miller. 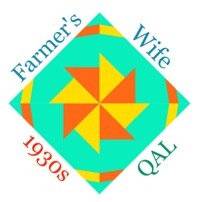 FQ £1.50. taken! 3. Apples print, out of print now I think. FQ £2.50. taken! 6. Amy Butler Coriander, out of print. FQ £2.50. Taken! 7. Heather Ross Far, far away 2. The first pic shows the bits I have cut out and the rest of the length is intact, all the pieces apart from the grey roses print are long FQs. This fabric is a linen/cotton mix and so has a heavier weight. The second pic is there to show the main prints. Three quarter yard long cuts with small sections cut out at one end and 7" length width of fabric grey roses. £8. Taken! First come first served, email me if interested. I must be able to contact you so if there is no email in your profile please leave an email in your comment or email to me or I will have to contact the next person interested. Payments will be invoiced through paypal. UK postage to give you an idea, 1 FQ + £1, packets up to 250g 2nd class £1.80, packets up to 500g 2nd class £2.25- these include 30p for packaging, envelopes, mail bags etc. The costs are higher for Europe and higher again for USA. I hope to get post out Wednesday or Thursday. My email is kerrykit(at)yahoo(dot)co(dot)uk or click the email me button on the right on the blog. I am just nearing the end of a very busy deadline period- nearly there but not quite. 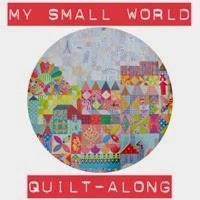 As an incentive to get me finished, I have my next quilt project planned. The pattern is a multi blooming dresden by Annela, on sale here. The background fabric is from Connecting Threads. This print is from their Hope Chest range and is called 'Pinafore' They fdon't ship internationally so this came via Penny, I sent her Liberty and she sent me this (and other goodies!). The pink/blue/red/green prints are mainly Lecien, OOP but available again on etsy at Kerri's Lovely Little Handmades in different colourways. And I am making some extra additions- there are three Koeski prints on the left and I have a few other bits and pieces that I think might work. I am really looking forward to this one. Thank you for the destash frenzy, only a couple of fabrics remain- see the post here. Today you can read here about the inspiration behind the tea and coffee pot patterns in the Sew-Ichigo 'Kitchen Classics' patterns set. Jay of Planetutopia has let me use her retro shop pictures. I live in a little house, space is at a premium, and as much as I like to hoard (secretly a lot, but I don't want to lose my grip on reality) it is time to destash! Postage costs go up from 30th April here so I thought I would do this before the price hike. UK and European countries only please! 1. R. Kaufman Metro circles. The top two are both half yards and the bottom two are FQs. A small piece has been cut out of the two FQs. I am selling these as a group for £10. sold! 2. A 100% linen Lecien from the Mrs March collection, 1 yard, £7. sold! 5. Anna Griffin print for Riley Blake. Ribbon print. Half a yard but in length, not width of fabric- a bit like 2 fqs stacked on top of each other! £3. sold! 6. Windham Tea for Two collection, kitchen print, full width of fabric, 26" length,and a bit over, £3. 9. R. Kaufman print, I think it might be metro market, FQ, £1.75. 11. Half a yard of Lecien from the Grandmother's Garden collection, £3.sold! 12. A selection of Heather Ross Mendocino from various projects, the sea weed prints in the bottom right corner are the largest lengths, the orange and the brown are bigger than FQs. The other prints are various scrap sizes. £12 the lot! sold! First come first served, email me if interested. Payments will be through paypal. UK postage to give you an idea, 1 FQ + £1, packets up to 250g 2nd class £1.80, packets up to 500g 2nd class £2.25- these include 30p for packaging, envelopes, mail bags etc. My email is kerrykit(at)yahoo(dot)co(dot)uk or click the email me button on the right on the blog. Proceeds will be going towards my Flea Market Fancy fund!